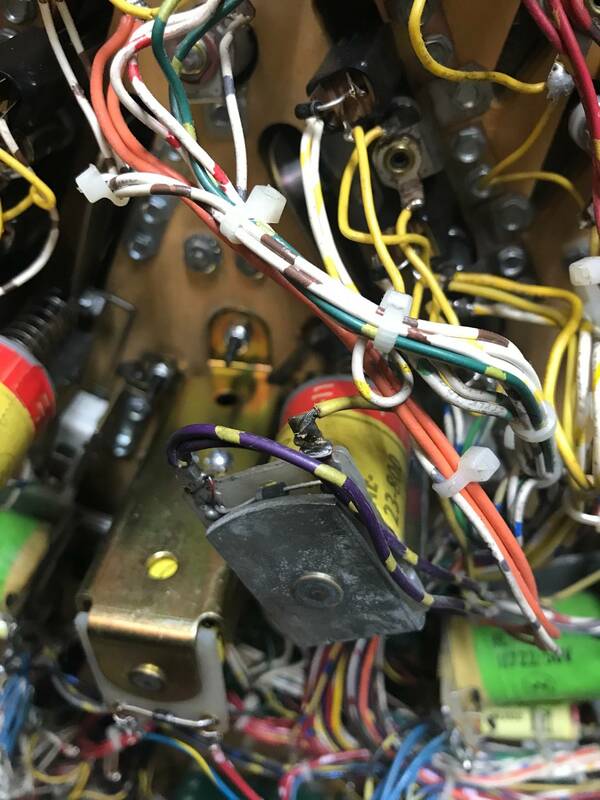 » Forum » Tech » Tech: Generic » F-14 Coil locking on w/ mpu disconnected? » F-14 Coil locking on w/ mpu disconnected? F-14 Coil locking on w/ mpu disconnected? 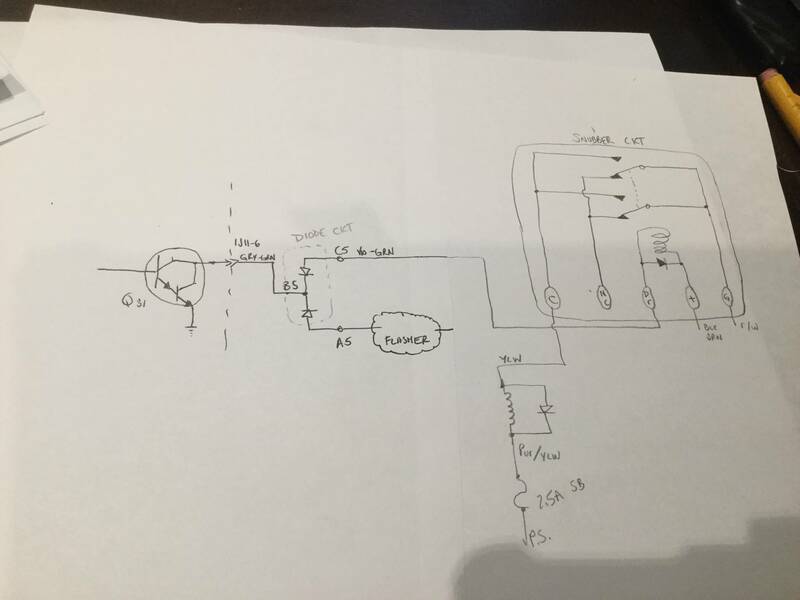 F-14 (system 11A): What could cause a coil to lock on with the mpu disconnected? Locks on immediately upon power up and will blow the fuse within 1.5 sec. It's the right center eject. Snubber board has been removed and inspected. Resistor is shot, like most, but relay seems to be ok (open b/w GND and COIL lugs). Coil diode was failed open, but this shouldn't lock it on, correct? Coil resistance is 4.2 ohms, which is proper (AE-23-800-11 coil). Scratching my head. 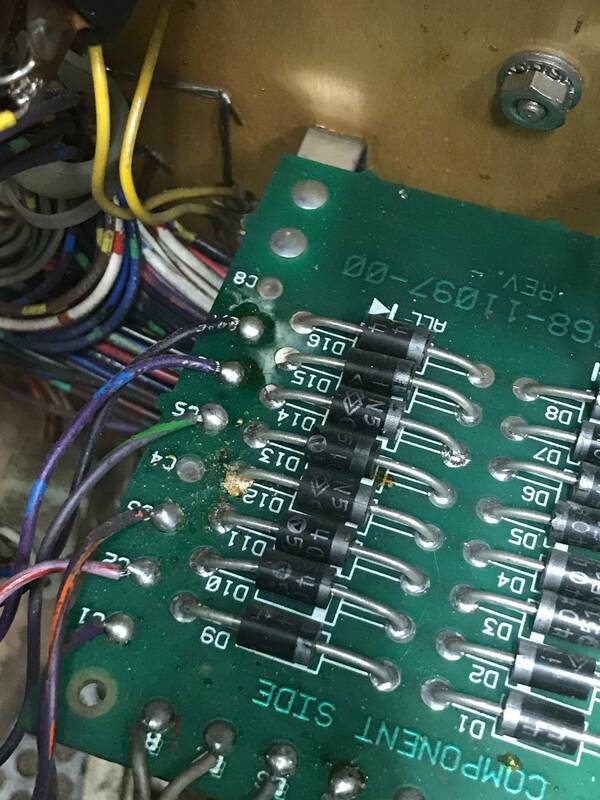 I've got to be missing something on the snubber board? Nothing else in the circuit, right? Check the violet\green wire on the coil to see if it's grounded. 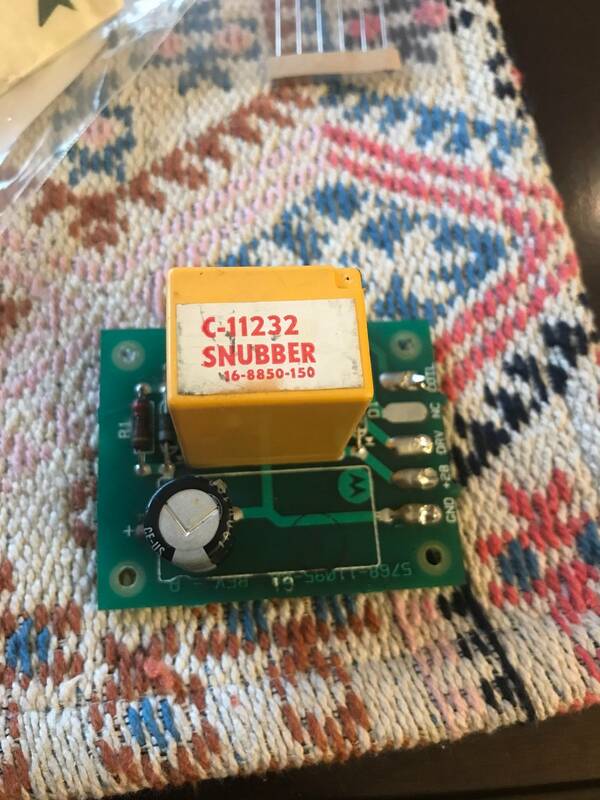 Are you sure you have the correct snubber relay board? Post a pic of the snubber relay so I can see the wires. I believe so. I thought I read that C-11232, -1, or -2 could all be used. Trying to find that. C-11232 is what was there. Nevermind. I misinterpreted the notes in the solenoid table. Manual shows this coil should be "A" part of A/C relay. Mine shows its the "C" side? Bounced it off another F-14 and the wiring looks correct. I get my brain wires crossed between the a/c relay and the snubber board. 690 ohms between purple/green wire and ground. The picture shows your coil is mounted incorrectly. It looks like the diode leads and coil terminals are shorted to the coil bracket. The coil should be rotated to the right 90 degrees. Yeah, noticed that. Bought this at auction... It's mounted correctly now and still fires immediately at power up. Thanks tho! This is your problem, should be @ .600 meg of higher. Your diagram is correctly drawn, nicely done. Test D-5 on the diode board, maybe its shorted. Quoted from megalo17:690 ohms between purple/green wire and ground. 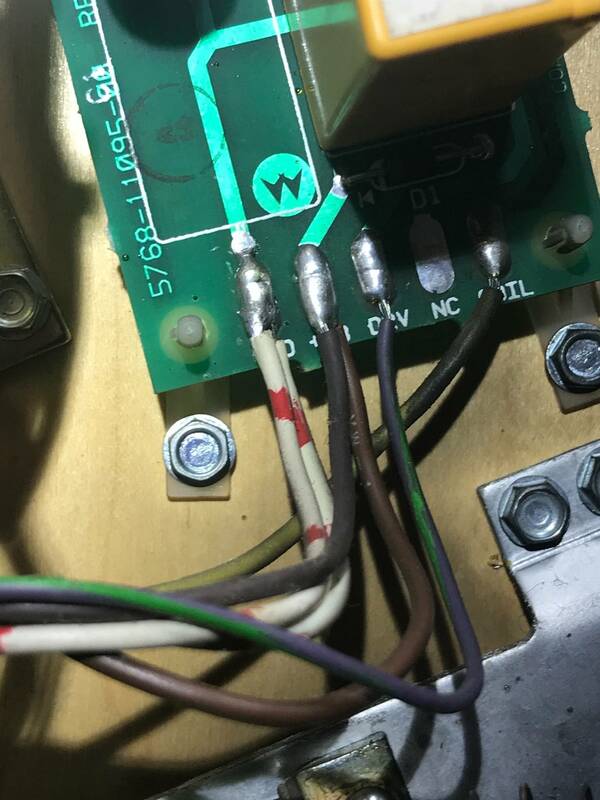 resistance to ground thru the flasher board resistors which connect to ground. Instead of the normal high resistance thru Q-31 and to ground. This low resistance would be low enough to turn on the relay and energize the coil and burn the fuse just by turning the machine. I would have thought if the brown wire was the problem that the relay would not energize. What do you read on the purple green wire with it disconnected? I would assume the same thing. Purple green reads open when it's disconnected. Purple green reads open when it's disconnected. Disconnected from the relay board but connected to the diode board, correct? Correct. I think I'll power it up with the snubber board disconnected, ensuring the fuse doesn't blow. Then methodically reattach one lead at a time (w/ power off obviously). Welp, not sure what I did, but it works... Cleaned off the diode board. Maybe that did it? Regardless, thanks for the help! I have a good understanding of the snubber boards and a/c relays now (at least for the next month). Pinsiders like Grumpy and Ken are great assets to the community.